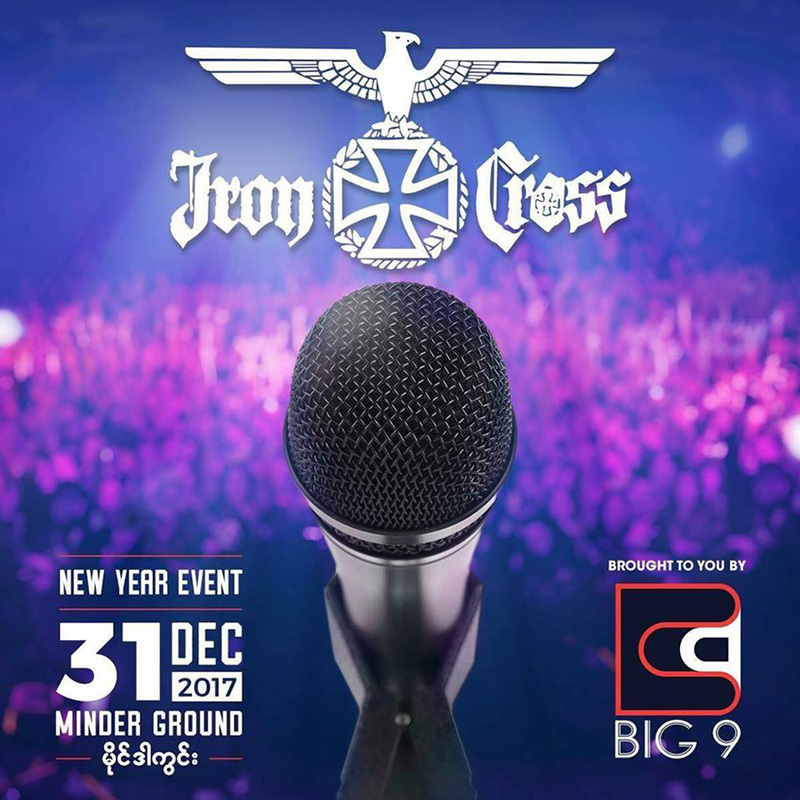 Myanmar’s most famous rock band will rock the Minder Ground to usher in the New Year. The show will be broadcast live on MRTV. Dec. 31, 9.30 pm. Minder Ground, Dagon Tsp. Free Show. Star actors perform satirical comedy routines. Dec. 30, 7 pm. Royal Garden Hotel. Tickets 30,000 to 100,000 kyats at Taw Win Center, Mann Thiri Recording, Nobody Fashion (Yankin Center). Famous singers including L Lun Wa, Aung Htet and Nin Zi May will perform. Dec. 31, 6 pm-12 pm. Minnandar Road, Dawbon Tsp. Free Show. More than 10 films that have won awards or that have been shortlisted will be screened. Dec. 30, 6 pm-9 pm. Maha Bandoola Park, Sule Road, Kyauktada Tsp. Free Show. 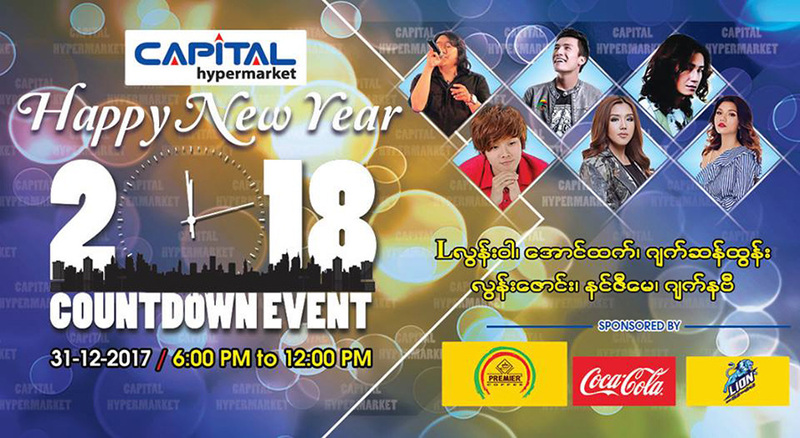 Wai La, May Sweet, Phyu Phyu Kyaw Thein, Here & Now Dance Group and Immortal Band will perform. International buffet dinner including wine, beer and soft drinks included. Dec. 31, 7 pm-12 pm. 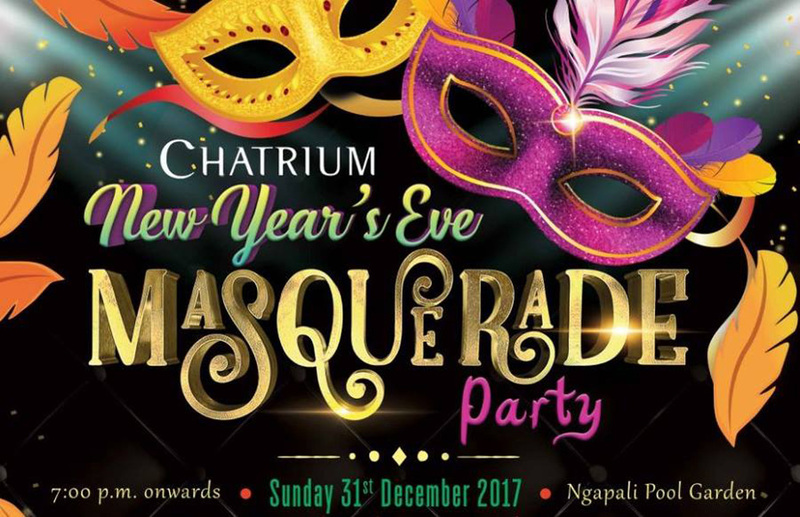 Chatrium Hotel. Tickets $140-160. Limited booking. Arzarni San San Circus and magicians will perform at this charitable show at Botatung Pagoda Festival. 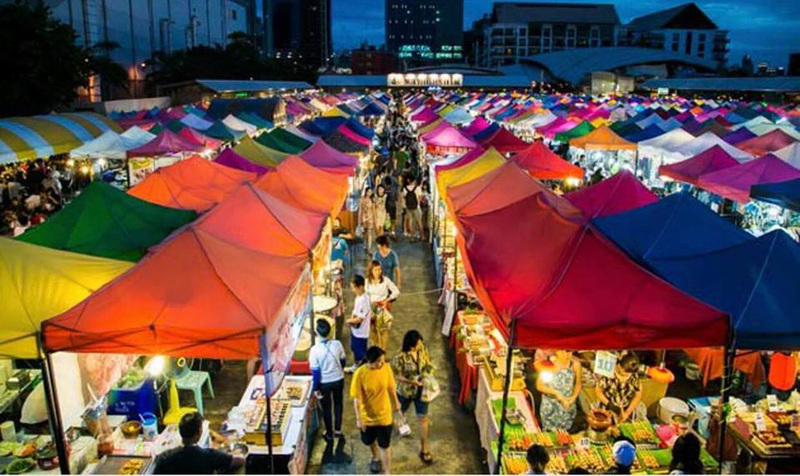 Music, fun, food and a lucky draw will be featured at this event. Dec. 29-31. Myanmar Culture Valley, People’s Square. 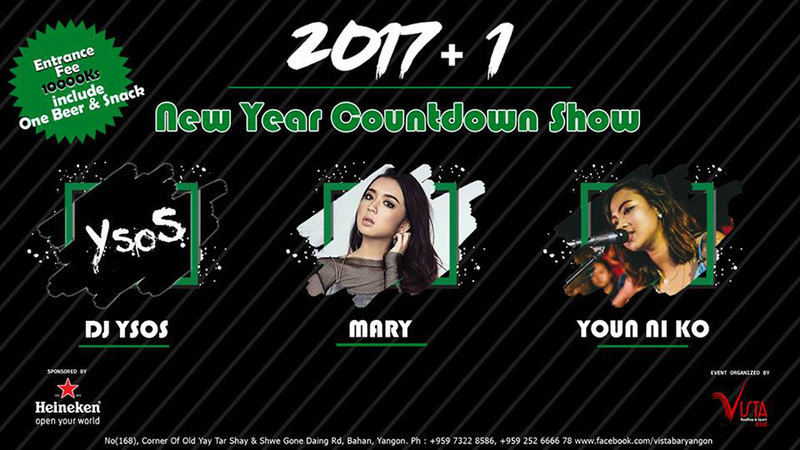 Singers Mary and Youn Ni Ko and various DJs will perform. Nine painters will showcase their modern paintings at this group exhibit. Dec. 31-Jan. 2, 43 Art Gallery, 43rd Street. 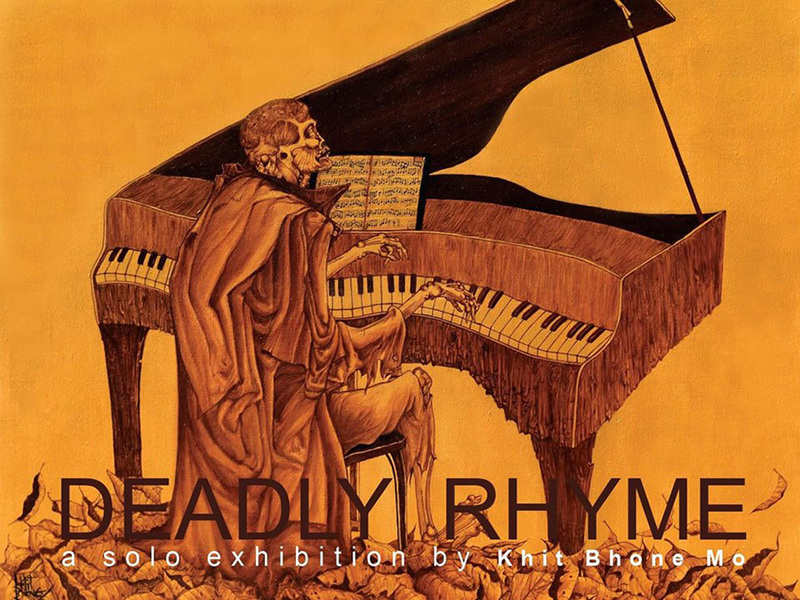 Khit Bhone Mo portrays death and the pain of human life, and the truth “beneath the skin of earthlings” to the accompaniment of rhymes in this solo show. 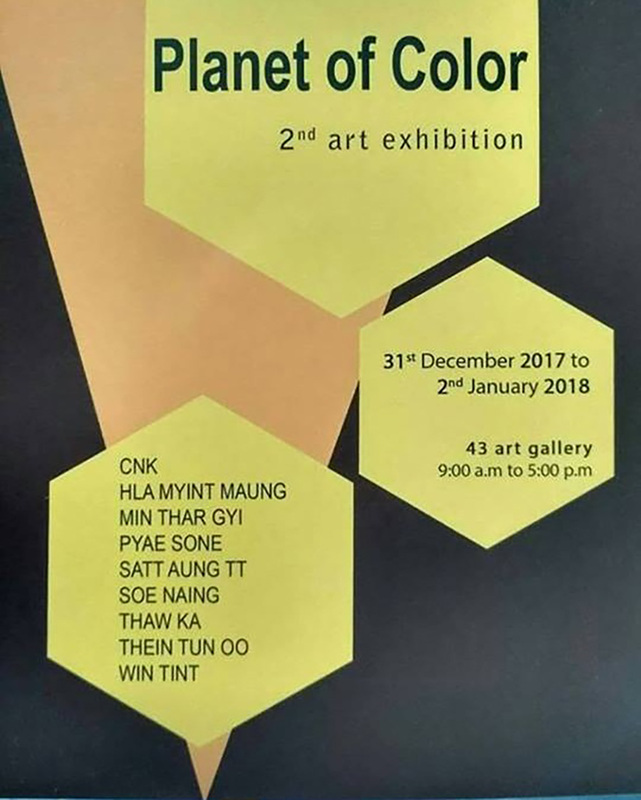 Dec. 29-Jan.11, New Zero Art Space, No 202, 2nd Floor, United Condo, Alanpya Pagoda Road, Dagon Tsp.